I had my very first macaron just a few years ago on a food tour in Columbus and I’ve been a huge fan ever since. Soft little pillows of tough-on-the-outside, chewy-on-the-inside pillows of goodness. I’m not the macaron’s only fan, evidently, as they’re popping up all over the place in Cincinnati. 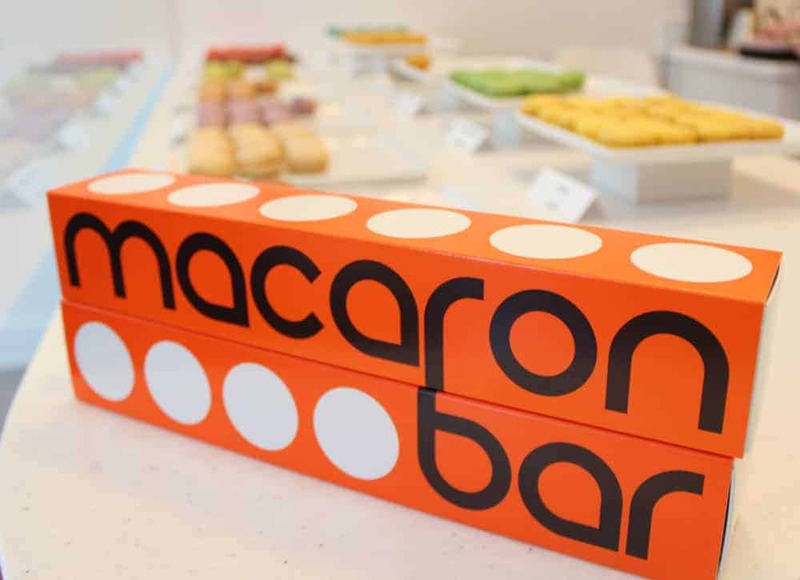 So it shouldn’t surprise you to find that we now have a shop dedicated solely to these little French treats – the Macaron Bar. 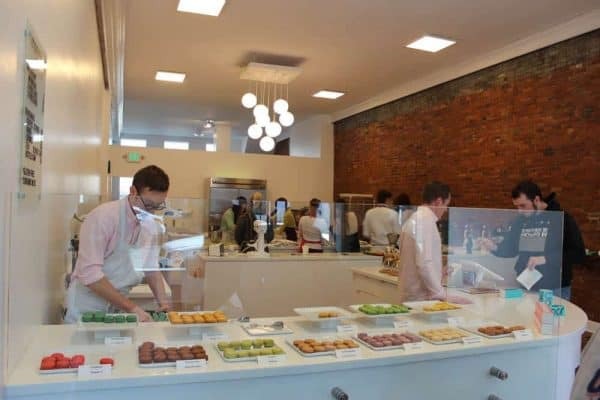 The Macaron Bar is a bright and cheerful place, full of shiny white surfaces and stainless steel melded with original brick and wood. LOVE! 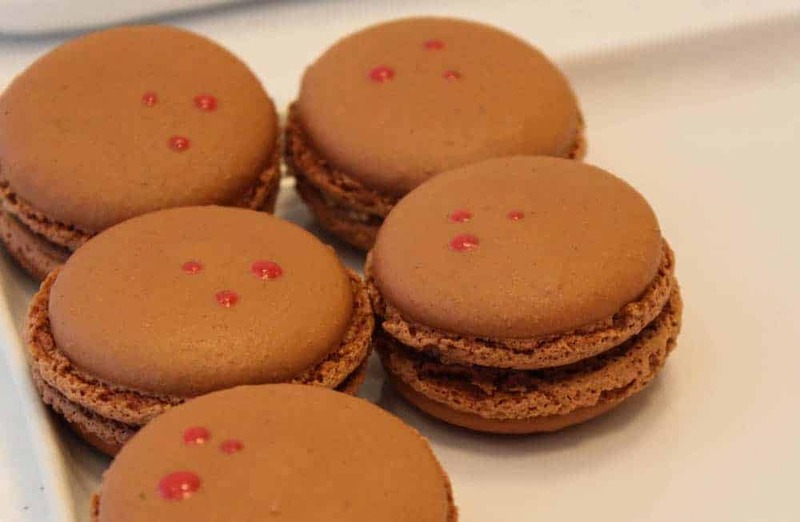 Their speciality is, of course, macarons. 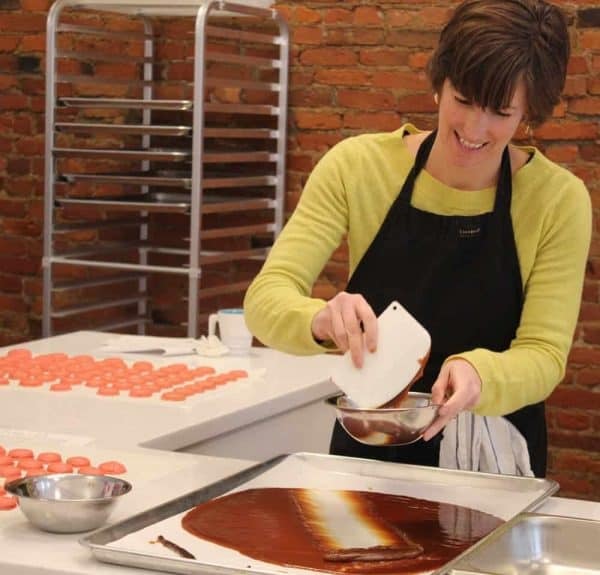 They offer eleven flavors on a year-round basis and you’ll also be able to find a few seasonal selections in addition to that. You can find the eleven flavors in the shop every single day. 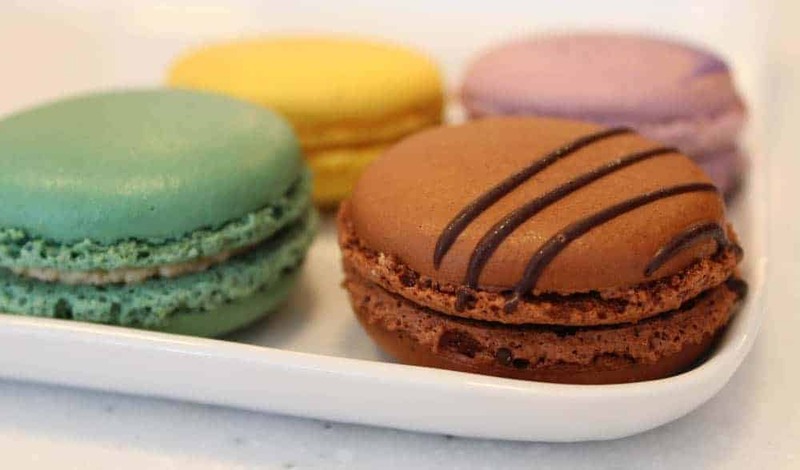 You can purchase just one macaron (who can actually do that?! ), a few, or in boxes of six or twelve. 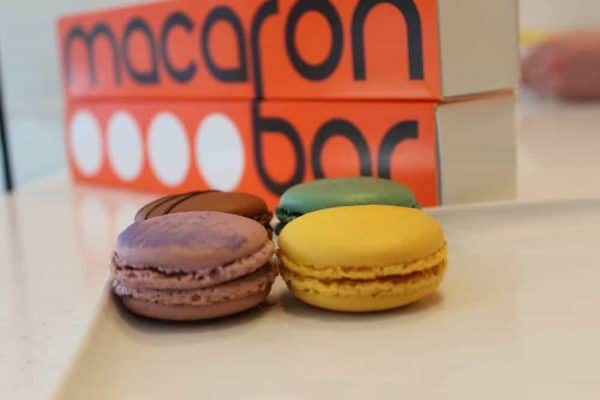 Flavors include Salted Caramel, Pistachio (that was my favorite), Earl Grey Tea, Hazelnut Praline, Blackcurrant, Dark Chocolate, Lemon, Raspberry, Passion Fruit, Matcha Green Tea, and Madagascar Vanilla. The seasonal flavors are currently Cinnamon and Chocolate Mint (check for the current seasonal flavors here). 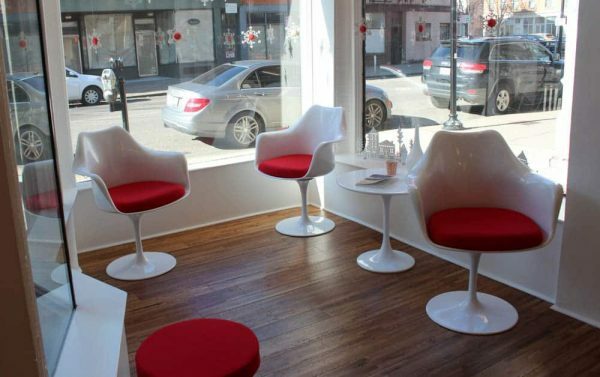 You can also enjoy pour over coffee from Deeper Roots and freshly infused teas from Essencha Tea House while you’re there. And they do have a few seats if you’d like to hang out for a bit. Want to try your hand at making your own macarons? 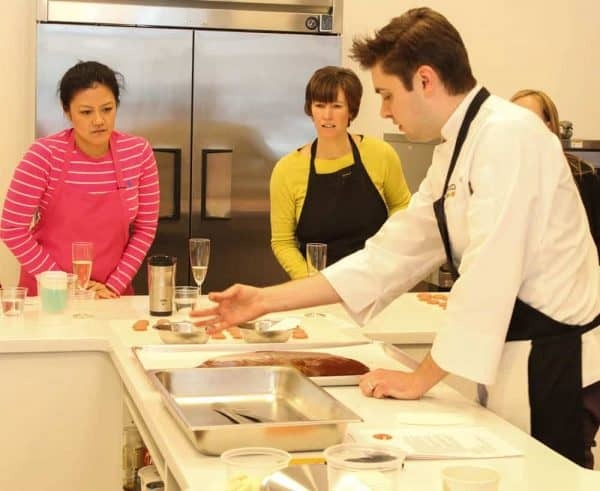 You can learn the art and science of macaron baking from Macaron Bar Chef and Co-founder Nathan Sivitz here at the Macaron Bar kitchen. You can get more information about Macaron Bar classes here. 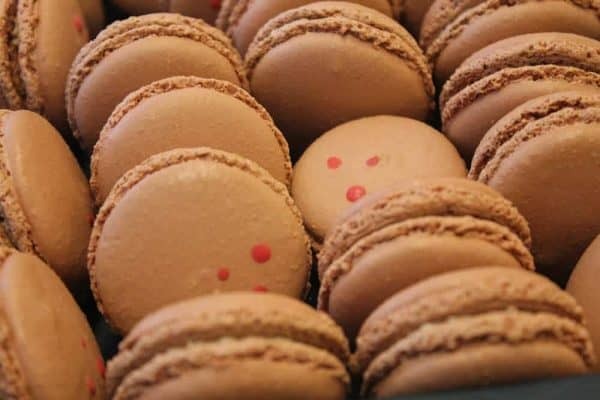 We took a few macarons to go and really enjoyed them all. My favorite was the Pistachio followed by the Earl Grey Tea. I seriously thought about those things long after they were gone! Went to the Bridal Rama show and was looking to use them for my sister’s bridal party. I noticed several people around me tasting them. I wanted to try them since I don’t live in Cincinnati anymore and may not get another chance. Asked if I could try one, only to be rudely told they needed to cut back on giving out samples. I then rounded the corner and peeked in to see several full trays under the table. Needless to say this place will NOT be getting my business! I sure hope they are friendlier to others!!! It is, Beth! I want to stop there every time I go downtown now!